While these are sake cups, they can also be used for mezcal or any sipping liquor or cordial. 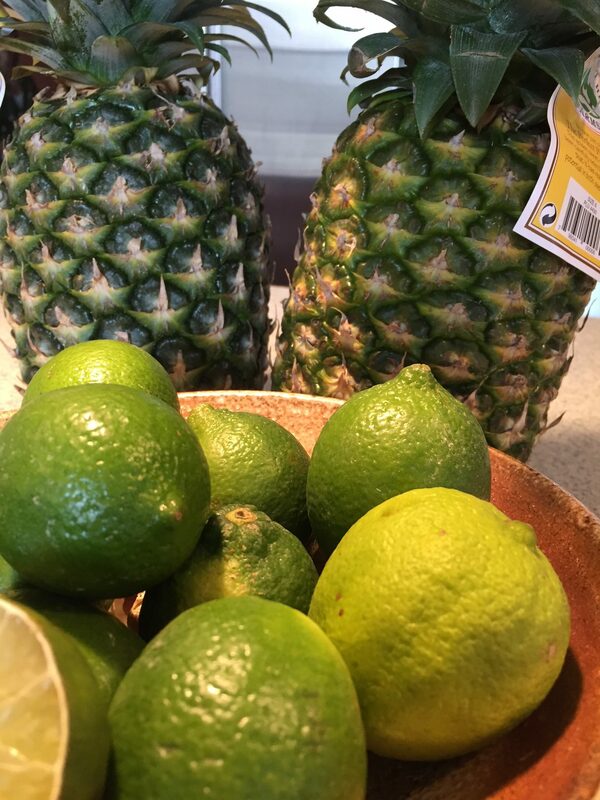 That’s what I had in mind (mezcal) when I bought them. This first group includes three hand-wrought pewter sake cups bought in Kyoto, Japan from Seikado Studio, the venerable workshop making these things since the Imperial Edo Period (1838). The studio is located on Teramachi street, close to the original Imperial Palace. It was their hand-made-ness that captivated me. 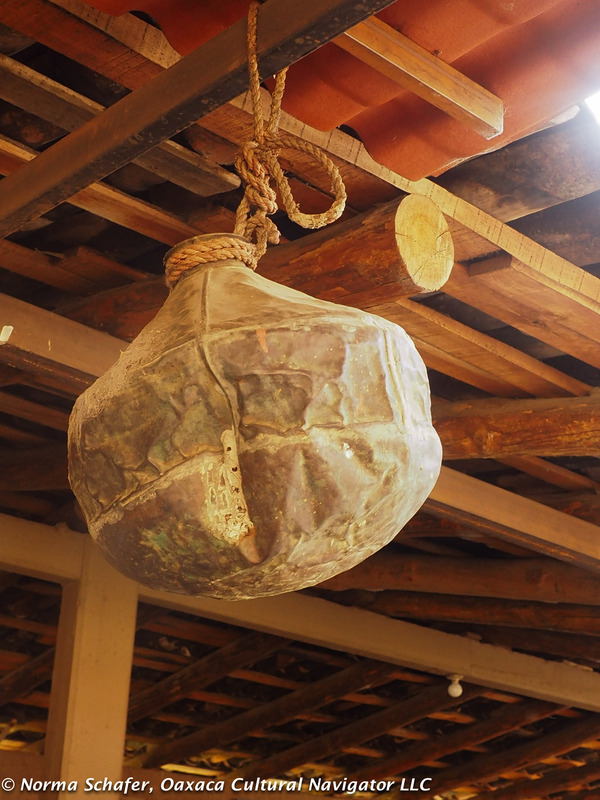 Each piece is original and hand-hammered, true to the Japanese wabi-sabi life. There are slight differences between the matched pair. 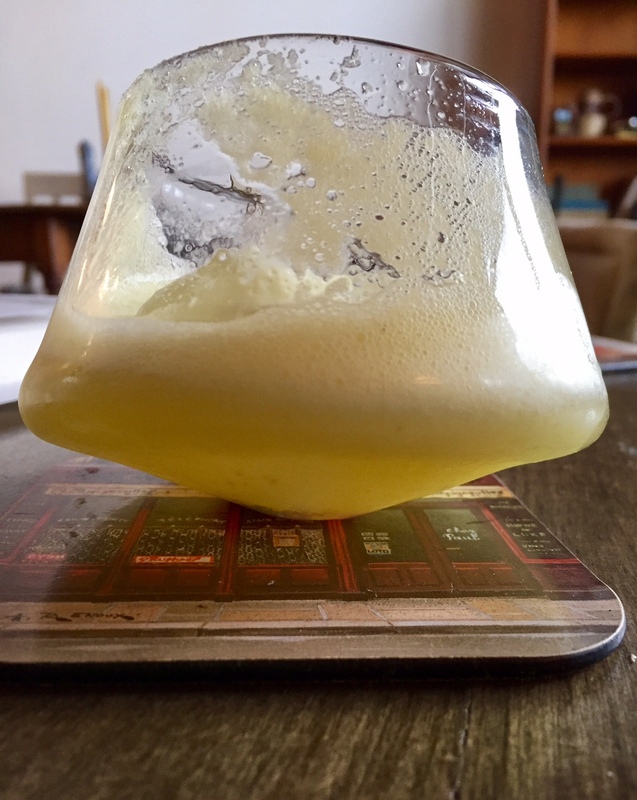 The upright cup is a one-off. Each comes in its own handmade box personally calligraphied by the maker. Cup on the right measures 2″ high x 2-1/2″ diameter. The two on the left are sold as a pair for $265 plus $8 mailing. The one piece on the right is $145 plus $8 mailing. I will ship USPS Priority Mail. Send me an email if you want to purchase along with your mailing address. I will send you an invoice. The two cups below are hand-blown studio glass that I bought in Arashiyama, Kyoto. 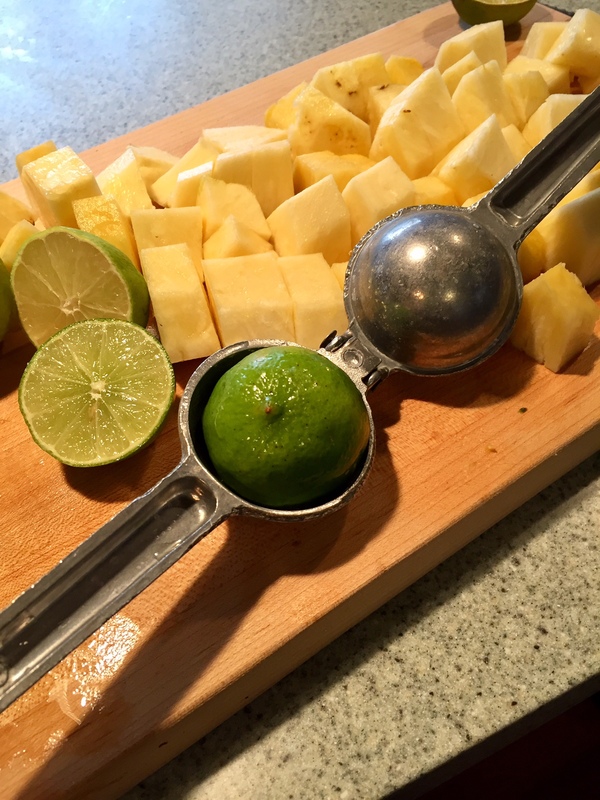 Perfect for mezcal or sake, or any sipping liquor or cordial. The blue measures 1-3/4″ high x 2-3/4″ diameter. The gold leaf glass on the right measures 1-7/8″ high x 2-1/4″ diameter. Wouldn’t any of these also make a terrific wedding or housewarming gift? Send me an email if you want to purchase along with your mailing address. I’ll send you an invoice by email to pay with a credit card. Thank you. 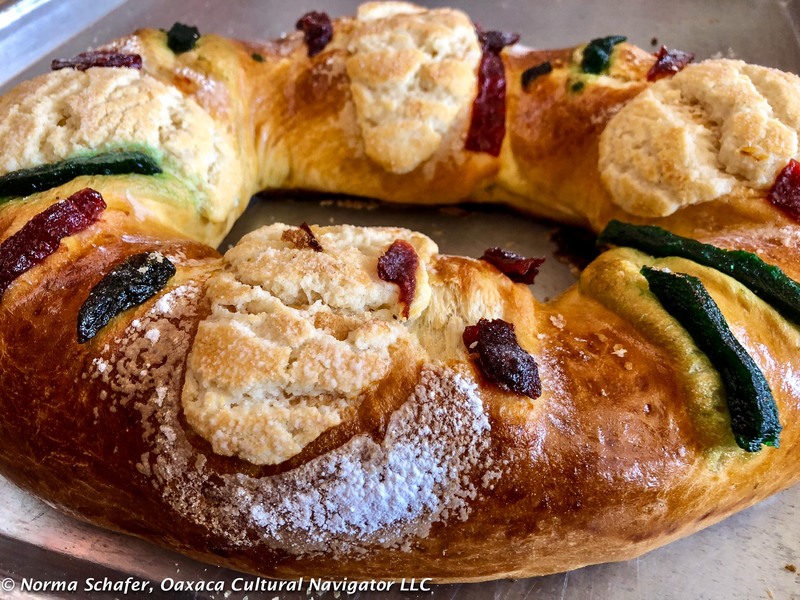 After about a day, Rosca de Reyes becomes more like dry cake, good for dunking into coffee or hot chocolate, but not so tasty for eating plain. What to do? Make bread pudding, of course. I got a little carried away in the Teotitlan del Valle market and bought three Roscas. They are so pretty. After giving one away, there were still two. Friends came over for dinner last night, so I decided to use up what I had and make bread pudding. 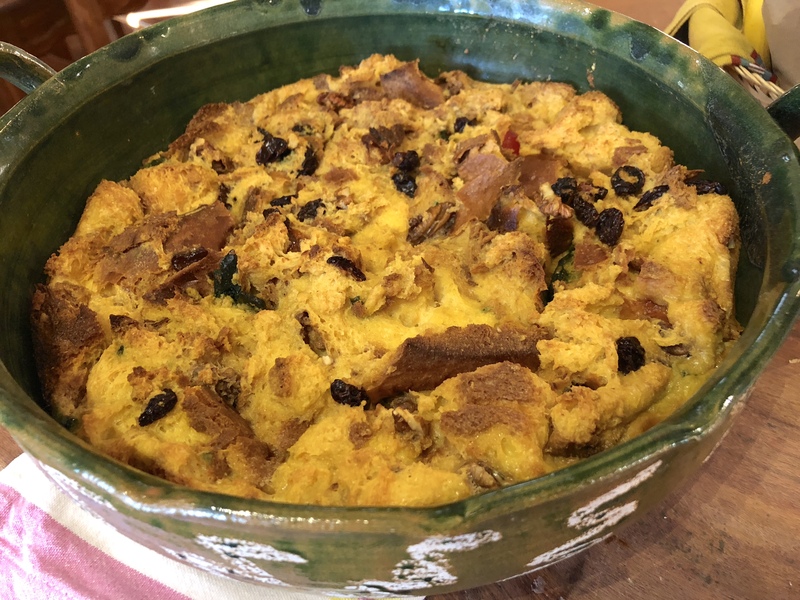 Using a New York Times basic bread pudding recipe, I adapted it for Oaxaca flavors. Put the cut up bread, including candied fruit, nuts and raisins into large mixing bowl. Heat milk, butter, vanilla, and sugar in saucepan until butter is melted. Beat eggs in another mixing bowl. 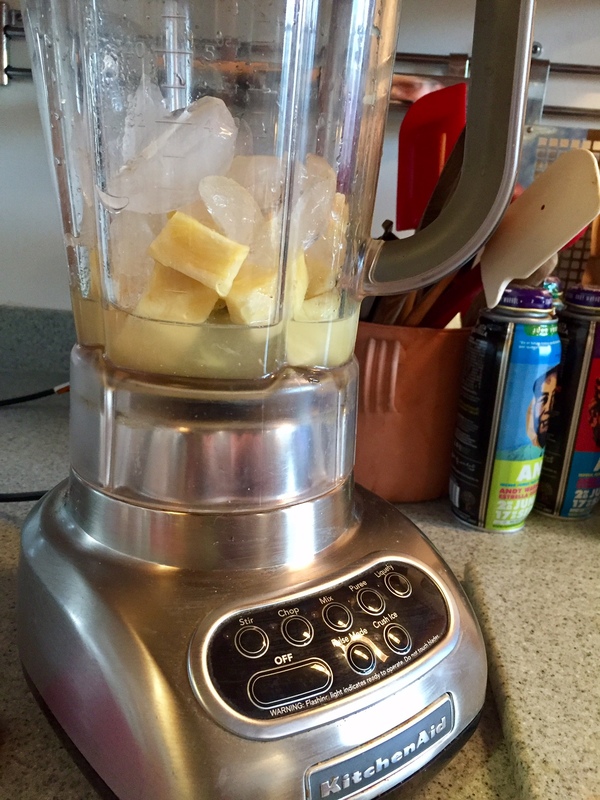 Add liquid and beat again until combined. Pour over cake bread. 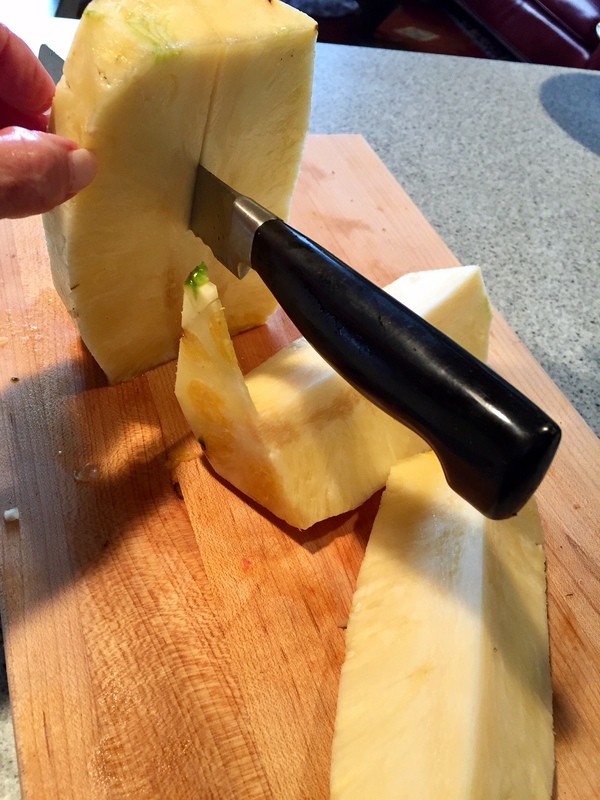 Let stand 30-40 minutes or until bread is soft. Pour into a buttered baking dish (preferably deep dish). 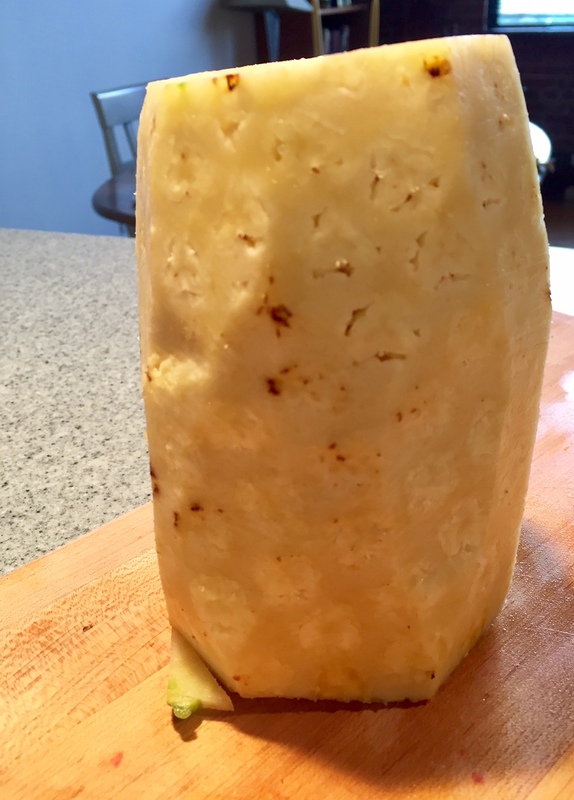 Bake at 350 degrees F. for 45 minutes or until top is crusty and custard is completely cooked. Once upon a time, a long time ago, I owned a gourmet cookware shop and cooking school. Another part of my creative past life still emerges from time-to-time. 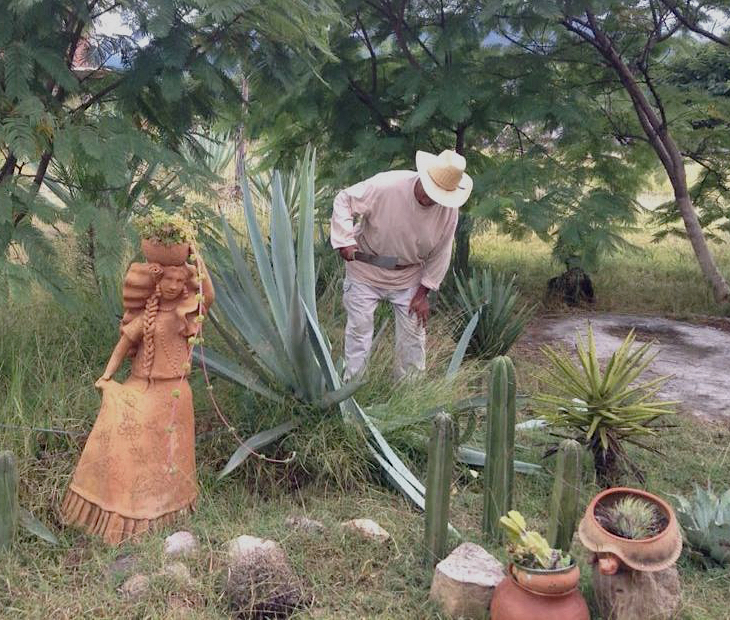 Only in Oaxaca do you wake up to find a guy cutting down agave cactus for mezcal in your front yard, Kalisa Wells told me yesterday morning. Kalisa is house-sitting for me in Teotitlan del Valle while I’m sojourning in Durham, North Carolina. Kalisa is really there to puppy sit until Luz and Sombra come of age, ready to adopt out. It should be soon. Then, she’ll be taking care of Mamacita and Tia until I get back. Kalisa Wells took all these photos! Thank you! 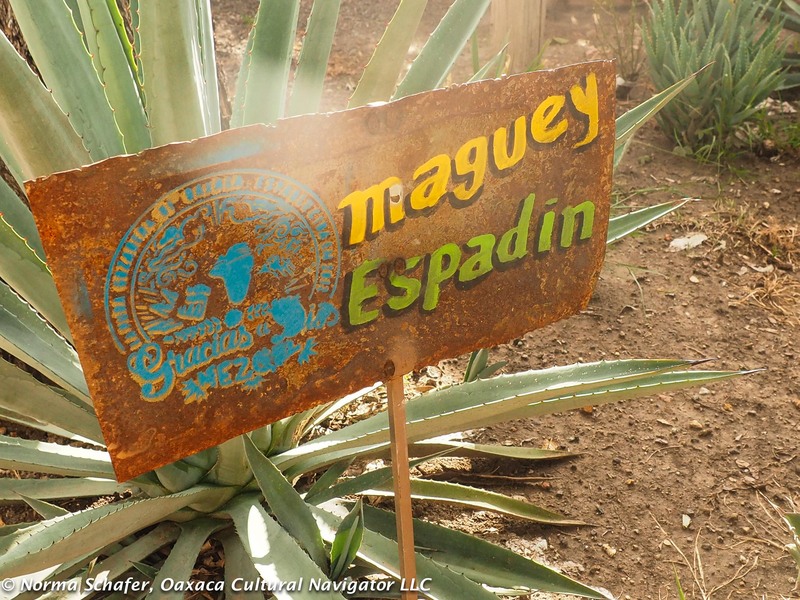 There has been espadin agave on the land where I live among the maize fields ever since I can remember. When I first arrived, twelve years ago, these were tiny immature plants. Omar, youngest Chavez Santiago family son, tells me these agave were planted seventeen years ago! Now, some are sending up reproductive shoots, topped with baby agaves. Bees swarm and give up agave honey. After a few months, the mother plant dies. Topples over. 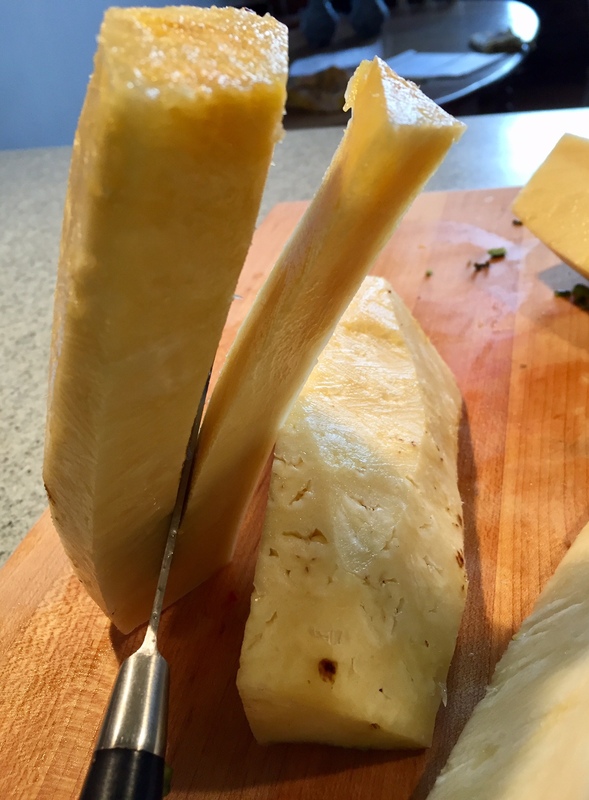 The dead stalk can be used for fire wood or home construction. 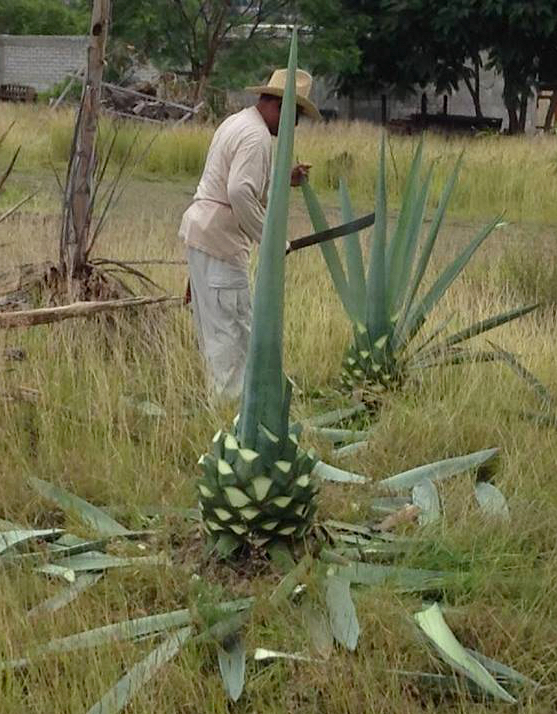 Farmers want to harvest the agave when it is ripe and before it sends up the stalk, when the sugar energy is concentrated in the piña, perfect for making mezcal. 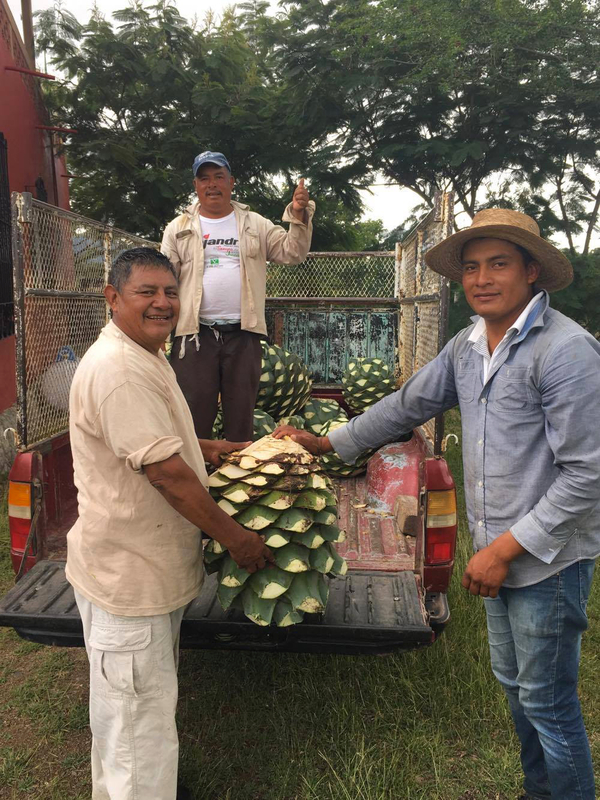 When Teotitlan del Valle mezcalero Hilario and his son Emmanuel showed up to cut and dig out the piña, Kalisa took photos and a video to send to me. She keeps me informed about life around the casita. Don Federico supervised. It’s his land, his agave, and this is his cash crop. 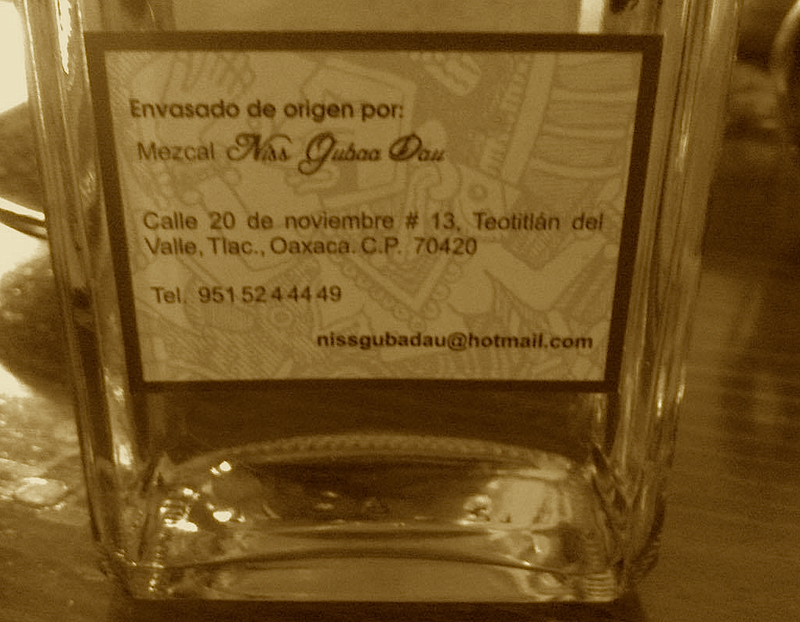 Seems Kalisa has been buying local mezcal from them for a while. They make the distilled brew in their patio, behind the molina (mill) across from the church and market. Almost ready to dig out. See the video for how they do it. 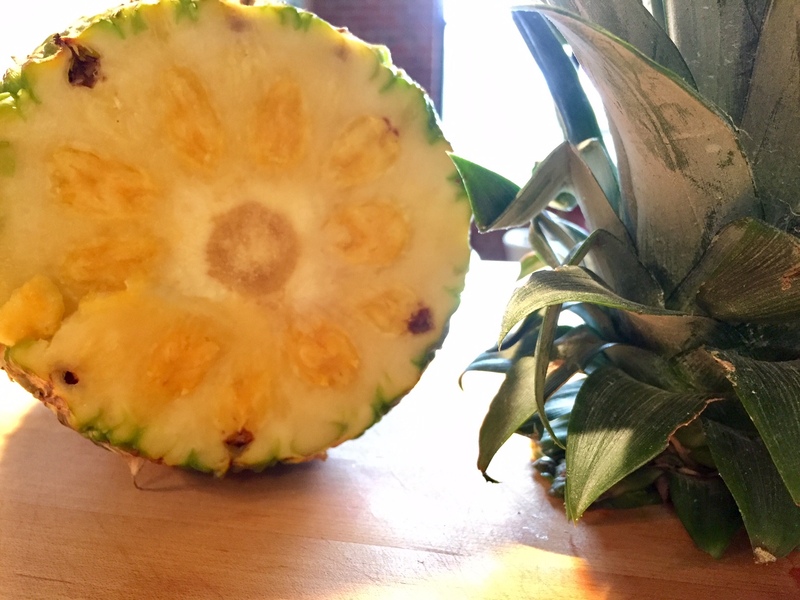 They are working hard on all the agave, writes Kalisa. I hear the sound of primitive and very effective tools. 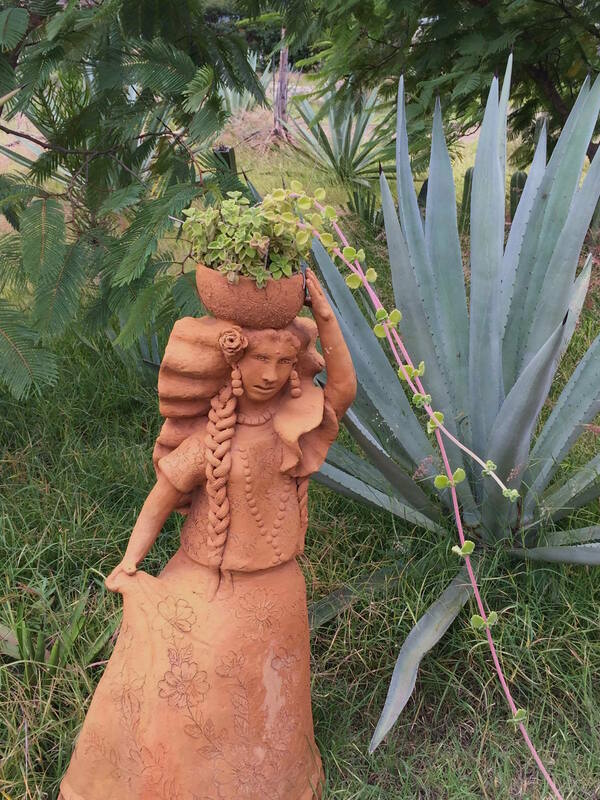 I hear the Zapotec language and the smell of fresh cut agave drifting into the casita. 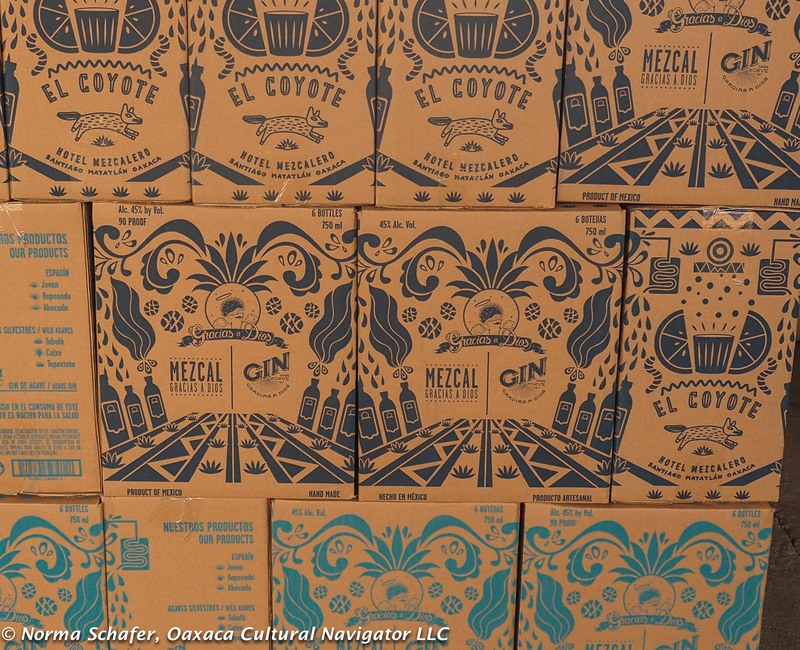 Demand for artisanal mezcal has skyrocketed around the world. There are now more than 300 brands. 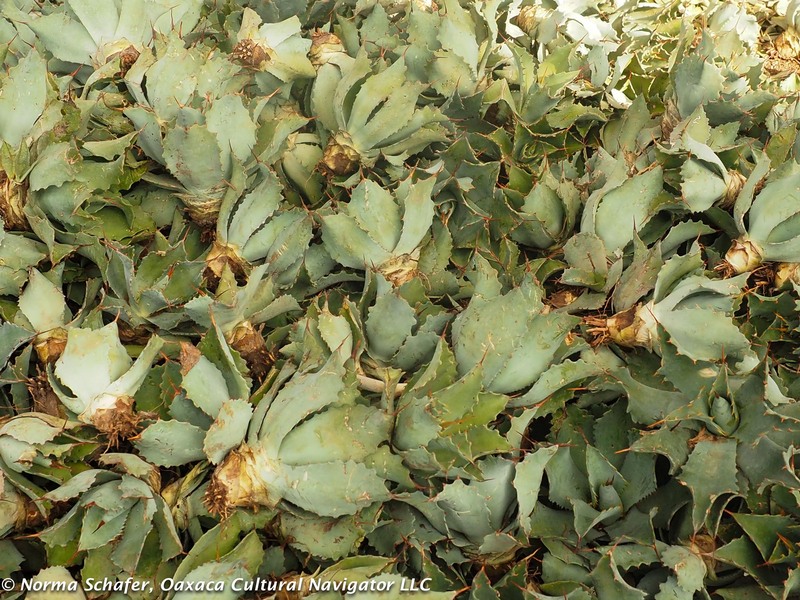 There is worry and big buzz about whether there will be enough agave to satisfy the demand. Every food and beverage writer weighs in on this as they come to Oaxaca to sample the offerings. 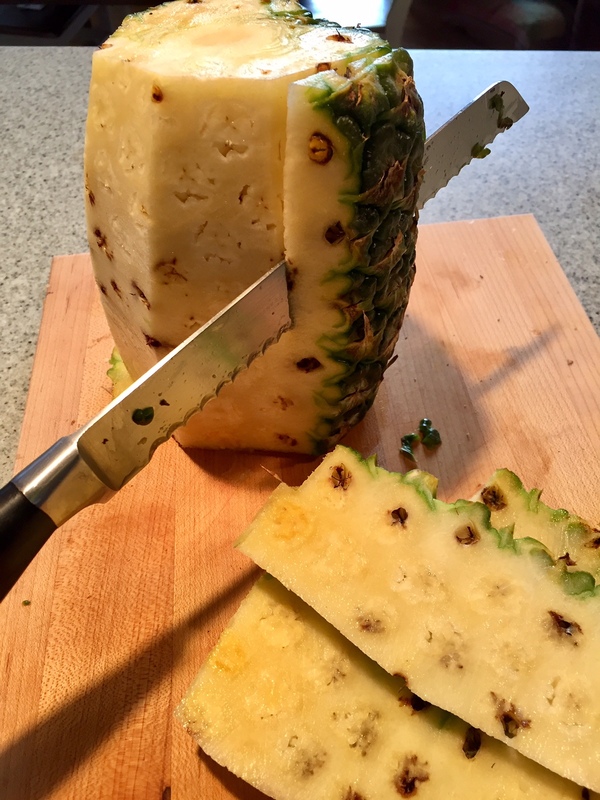 What’s left — only the remains of leaves and a piña to be loaded. 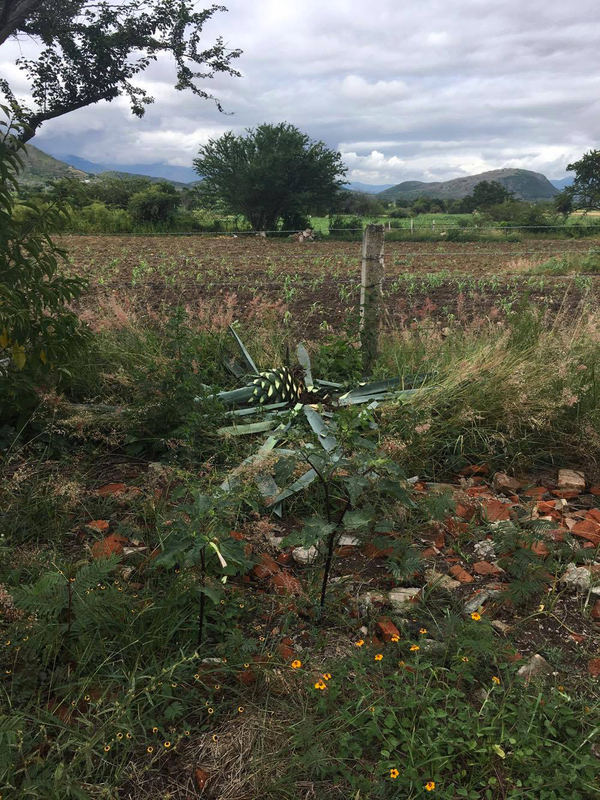 Small operations, like those of Hilario and Emmanuel, are still producing home grown, home distilled mezcal for local consumption just as they have been doing for hundreds of years. 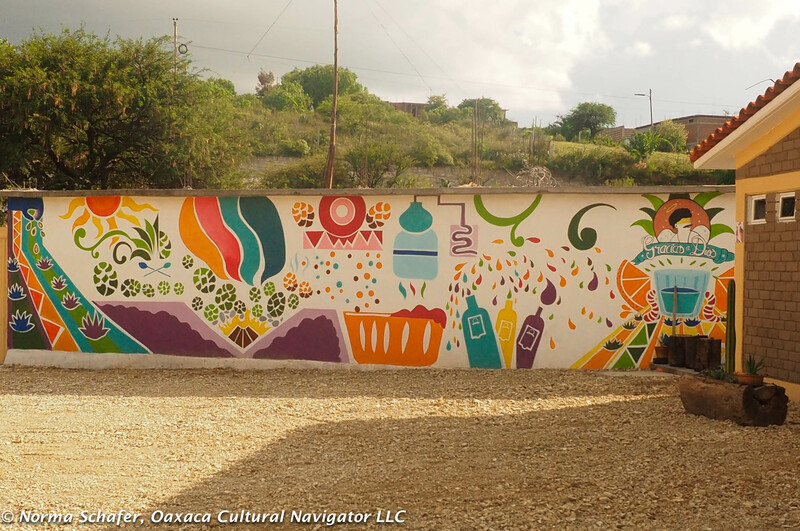 Fiestas in Teotitlan del Valle are fueled by mezcal. It is de rigueur to bring a bottle as a host gift. 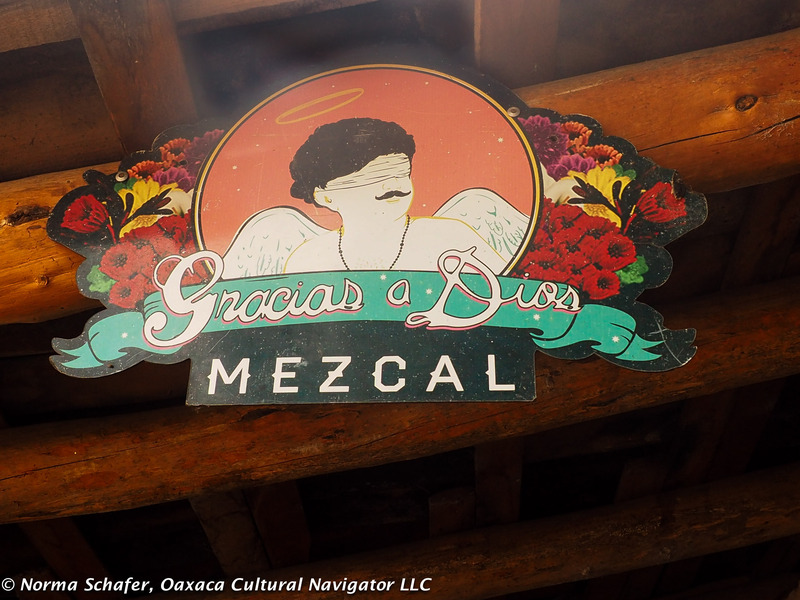 mezcal is not tequila, tequila is mezcal — don’t be confused: what’s the difference? 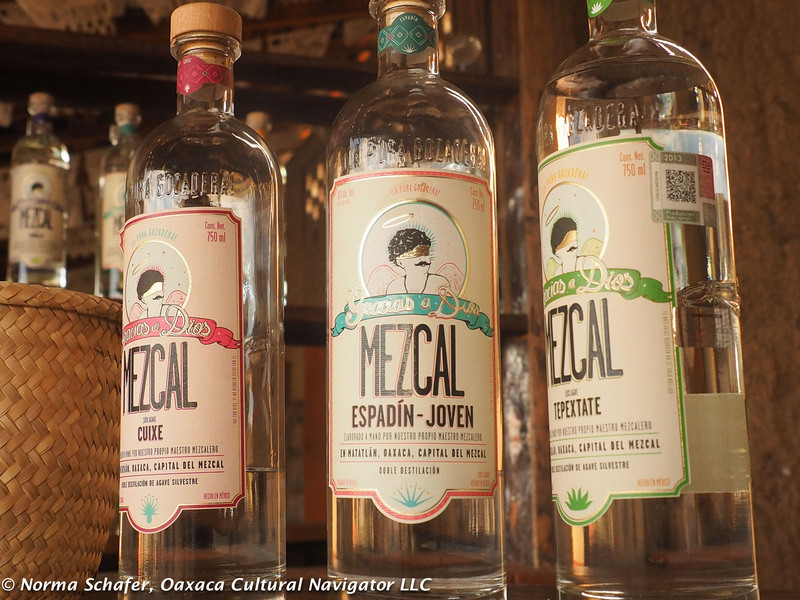 how will growth and production keep up with demand — National Geographic: A mezcal boom spurs creative approaches to dwindling agave. I see by the photos that the landscape of my front yard has changed, denuded of espadin. The agave in my front yard and along the fence line is no more. Last year, I planted rows of immature espadin plants in anticipation that someday Don Federico might harvest these treasures. Before the cutting, my garden decor. I’ve expanded my cactus garden to include tobala, tepeztate and cuixe. It will take them many more years to mature and offer me unlimited high desert beauty. They may certainly outlast my lifetime! Last Thursday was pretty depressing. Not because of Oaxaca safety concerns or traffic or the zocalo encamped by teachers. 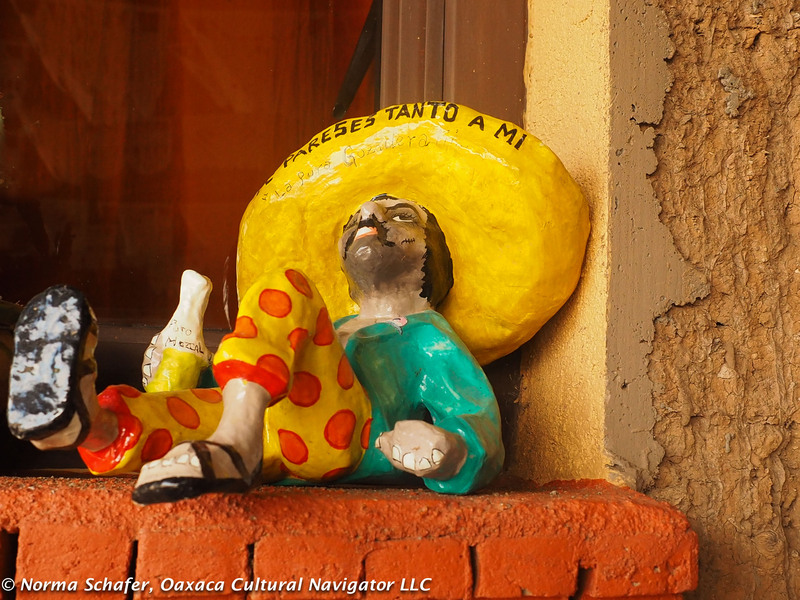 I got around Oaxaca easily by foot last week. Aye, que borracho! Don’t blame the mezcal for making me stupid. 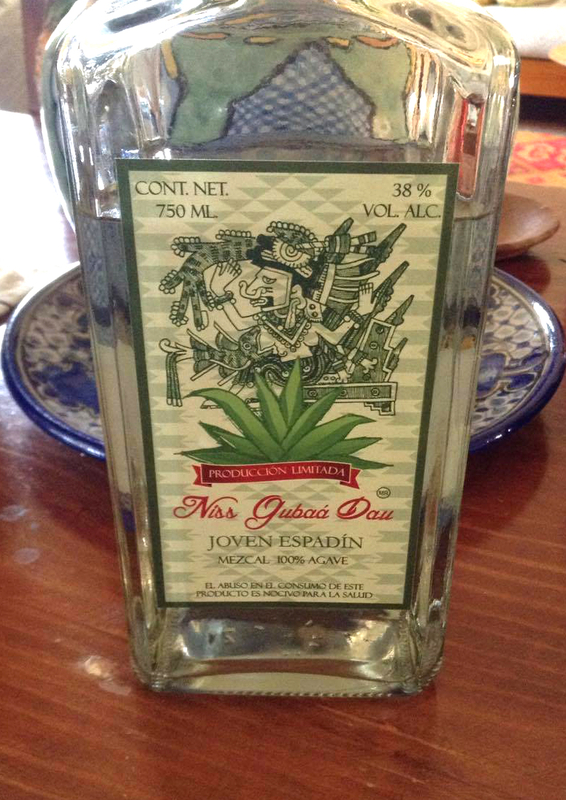 I was depressed because when I got to La Mezcalillera, the purveyor of artesanal mezcal on Calle Murguia in the historic center of Oaxaca in the early afternoon, they were out of my favorite Gracias a Dios Gin Mezcal. I wanted to buy a few bottles to bring back to the U.S. with me to give as gifts. Of course, once the bottles were open, I could have a nip or two. 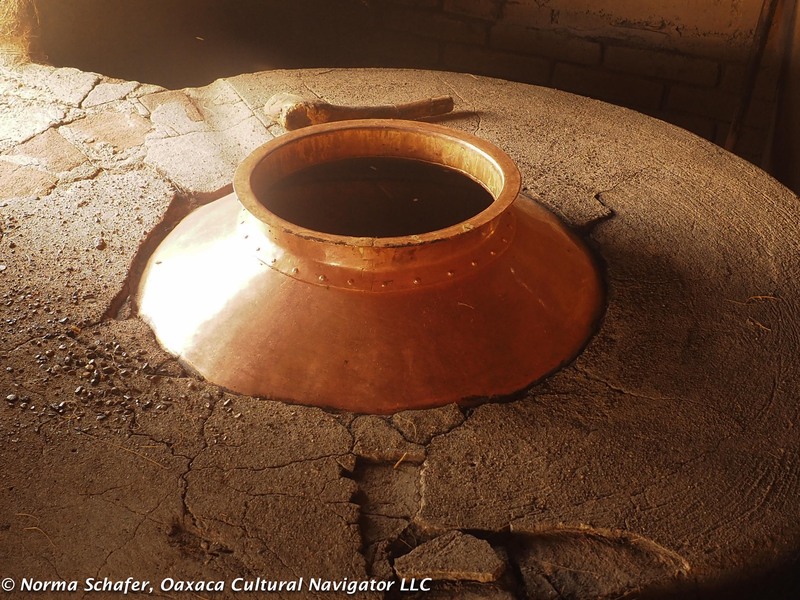 Copper still for processing mezcal, just like moonshine but more refined. Despite the attempts of the barkeep to help me find something else that would equal, and after numerous tastings (sips, please), I just couldn’t bring myself to buy anything else and walked out empty handed. 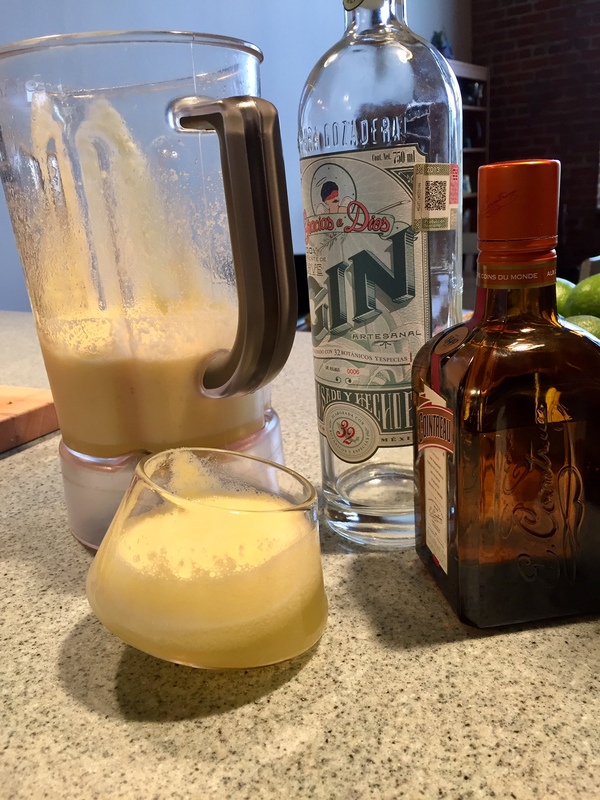 Agave Gin: Dreams of juniper berries and orange peel dancing in my head. My head hung for the rest of the afternoon as I tried to divert my mood, concentrating on the shopping list: a 5-year old aged añejo mezcal for my sister (her favorite), special order Oaxaca blouses for friends, Oaxaca chocolate, and a much needed haircut. 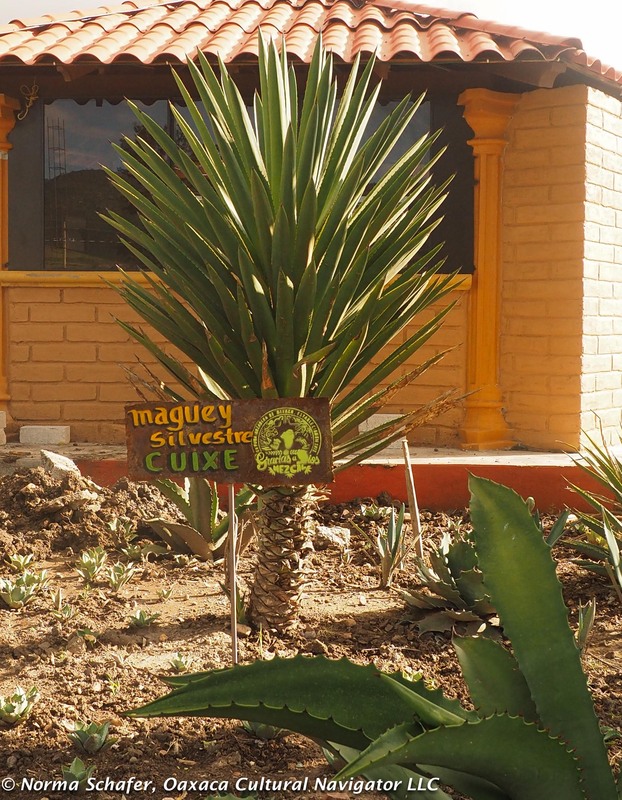 Cuixe wild agave cactus, pronounced Kwee-shay. When I woke up on Friday morning, still feeling let down, I decided it was time to research where Gracias a Dios is distilled. After a 30-minute Internet search I came up with a location, website and contact form. 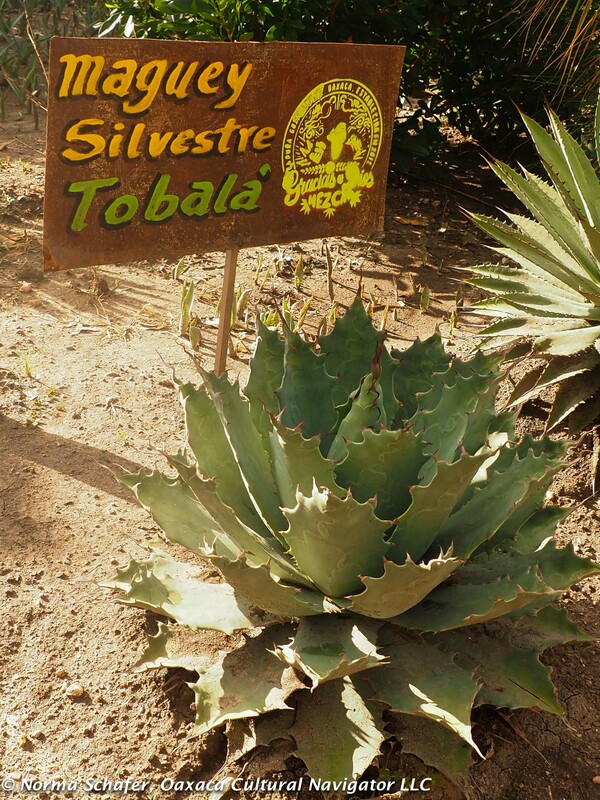 Tobala, another wild agave cactus, yields a distinctive herby aroma and taste. I got a reply back from Emmy Hernandez within minutes via email and then a phone call. 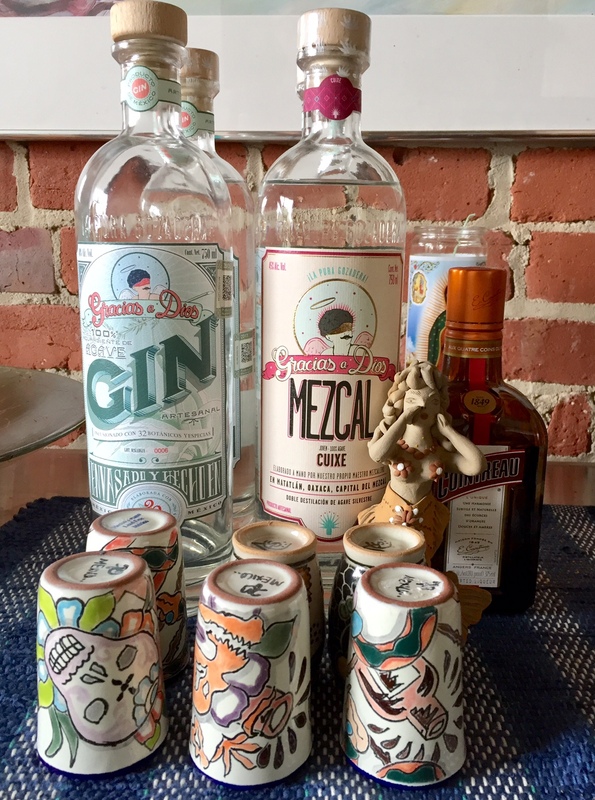 It was about 11:30 a.m. She was willing to drive three bottles to the city from Santiago Matatlan at the tail end of the Tlacolula Valley and world capital of mezcal. I said, No, I’ll go there! I wanted to see the palenque and find a regular, reliable source for what I have come to consider an amazing spirit. I want to go where it’s made, I mumbled to no one in particular as I was standing on the cobblestone street in the historic center. I arrived an hour later. Emmy Hernandez is the daughter of master mezcalero (distiller) Oscar Hernandez Santiago. He is the person who creates the distillation process to ensure he gets the best flavor from each of the varietals during roasting, pressing and aging. He’s the mezcal equivalent to a winemaker. The family lives where they work: On the far side of Matatlan as the Federal Highway 190 disappears from view over the rise on the way to the Isthmus of Tehuantepec. Distilled in copper, aged in oak, 45% alcohol by volume, 90 proof, ground by horse-driven stone, organic. Thank God for Mezcal. I believe it. So do Zapotecs. A great medicinal. 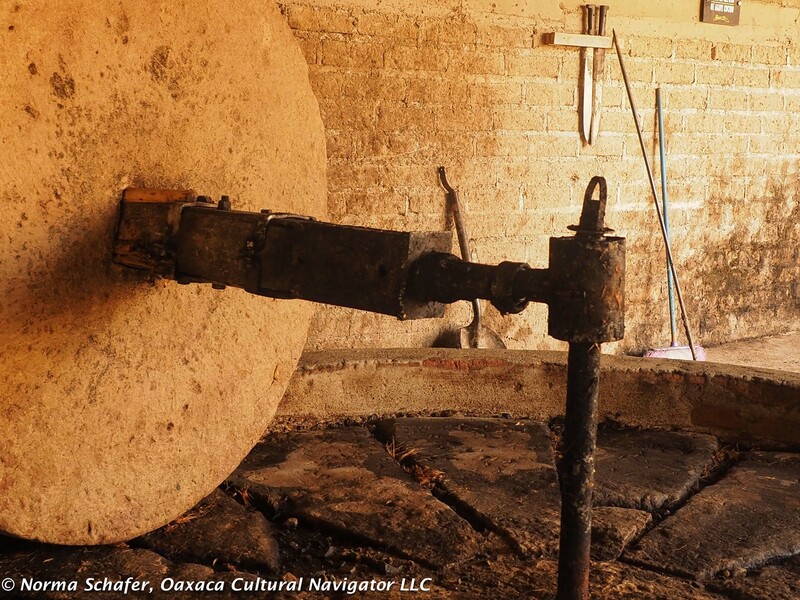 The palenque is more than where Gin Mezcal is made. It is an event destination and there’s going to be a big mezcal, food and music festival there in mid-July. If you are around, don’t miss it. Fiestas, festivals, parties, weddings, a great event space. Ok, so there’s a commercial edge to what’s going on here. 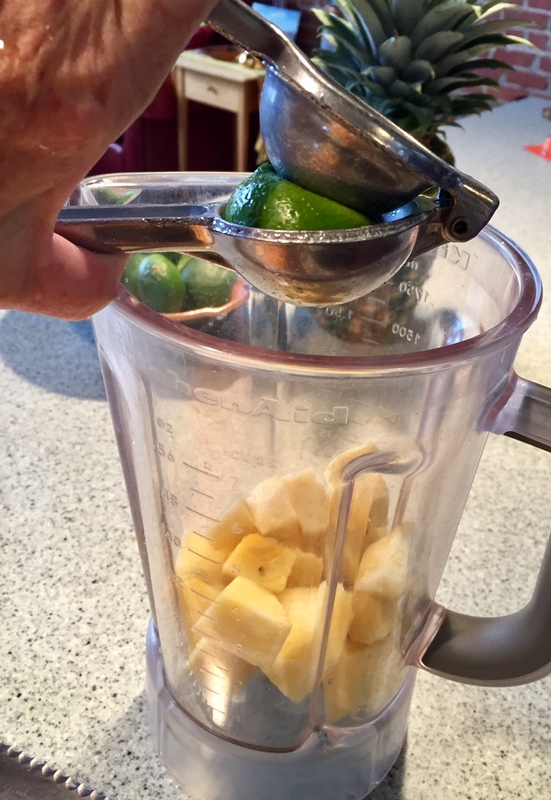 It’s not like going to the rural agave farms in San Dionisio or San Baltazar Chichicapam or Santa Catarina Minas. 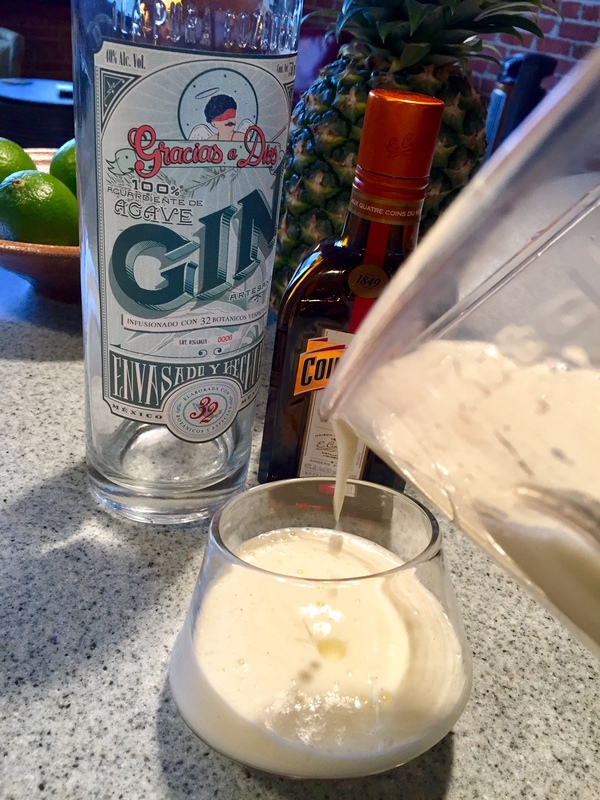 That’s okay, because they sure do make an excellent Gin Mezcal (organic, triple distillation, flavored with 32 herbs including juniper berries, rosemary, orange peel and cinnamon, 45% alcohol by volume). And, they have distribution in the USA and Europe. Gracias a Dios Gin Mezcal, boxed and ready to go! Salud. I now have three bottles to pack and take! Ready to plant tobala cactus for my garden. I bought three. Ants hate cactus.